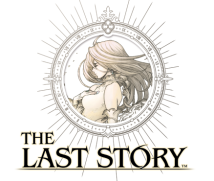 With the release of The Last Story imminent, what do you look back on as the most difficult part of the lengthy development process, Matsumoto-san? Let me see... Well, as you’d imagine, trying all those new ideas and dealing with the fallout from them was really demanding. This is something I didn’t want to mention until now, but I actually overheard members of the team asking: ‘How long does Matsumoto-san plan to keep listening to Sakaguchi-san?’ That was in the office bathroom. Huh...? (laughs) But I can see why they’d say that. I’m sure there was a period when it seemed like the project was never going to end. Well, it’s tough going when you’re running a marathon and you can’t see the finish line. If you at least know the distance to the end, you can tell yourself: ‘We only have that far left to go...’ But when you don’t know whether you’ve got three kilometres or thirty kilometres to go, you can’t help but feel uneasy. Is this the first time you’ve made so many adjustments to a game over such a long period? Yes, it is. And sure enough, there were people who were angry with me. (laughs) There were a lot of issues that we only became aware of once everything was in place in the game, meaning that we kept making adjustments right up until the end. Ah, what you just said reminded me of the first time I worked with Miyamoto-san. He said to me: ‘When you make a game twice, then the fun begins.’ What he meant is that there are always going to be those things you won’t be aware of until you’ve got the entire game working. But it’s all about how much energy you’re able to spare to keep making adjustments when you have a limited amount of time. That’s right. With games being made all over the world, if you want your own vision as a creator to come across, you really have to keep your mind fixed on what you want to create, no matter how hard that might be. That’s why I wanted to keep working for as long as I was allowed to do so. I’m really grateful that we were allowed additional time for this project. 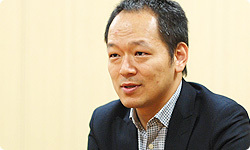 The person responsible for the project at Nintendo was giving me progress reports, and we were thinking about what we could do to help you realise your vision. I think that was more important than sticking to the original schedule. But I do wonder how the team remained so highly-motivated, in spite of them having to run a marathon without being able to see the finish line. How were you able to achieve that? Well, the first thing to say was that they were all terrified of Matsumoto-san. (laughs) Then there was also the fact that the programmers were really enjoying themselves. Take for instance a single creature in the game, the ogre. Now, this one ogre was chained up, and the programming that gone into making the chains was clearly really over-elaborate. The programmers really loved working on things like that. The overall feel of the game changes when you keep adding elements like that, doesn’t it? I think it was a way of letting off steam for the staff, and that’s why motivation remained high right up until the end of the project. It’s just occurred to me that Sakaguchi-san would have been travelling between Japan and Hawaii. Did you communicate with each other mainly via email? That’s right. 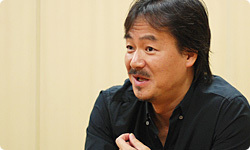 And Sakaguchi-san responds to mails very quickly indeed! Sometimes you’d completely forget about the time difference in Hawaii. What sort of work routine do you have when you’re in Hawaii? I sleep from about nine at night to three in the morning, Japanese time. After that, I’m fully committed to work. There’s nothing fun to do in Hawaii! (laughs) For me, the most enjoyable thing I can do is to sit in front of my computer. I see! (laughs) So that’s your secret. That’s why you can’t tell there’s a time difference. And there’s really nothing to do in Hawaii? Well, you do live there, so I suppose you have a right to say that. Are there any other secrets from the development process that you’d care to share? Well, there’s the fact that the first real dungeon I created ended up being used as the final dungeon in the game. It’s the chapel dungeon. I actually really like the design of the chapel and the castle. You worked in the United Kingdom for a year, didn’t you? That’s right. I lived there, and at weekends, I would visit castles and abbeys. The brochures that I collected there ended up being used for the level design in Last Story. Wow. You really never know how things might come in useful, do you? You really don’t. I’d made the chapel dungeon according to my own tastes, and I never thought for a second that it would end up being used in the final game. We originally planned not to include that dungeon in the main story. We intended to put it in a sub-quest, but then ended up using it. And it’s a really important place in the game. When I went there while testing the game, it was actually really nostalgic. Right. Well, it was three years ago when we made it. But thinking about it now, it’s a dungeon that still retains that sense that it was created as an experiment. You can choose to go either left or right, but in the end, it doesn’t make much difference either way. Yes, you’re right! (laughs) Originally, we made routes to the left and right, and experimented with different timings for enemies’ appearance and event scenes. It’s a leftover from that. But that’s actually something that fits The Last Story very well. If you got rid of everything that was unnecessary in the game, you’d actually end up losing a lot. But because our approach was to attach importance to all of these elements, there are things which seem at first glance to be unnecessary, but which are actually integrated into the game as features. I think that creates the feel of the game, its unique realism.